There are about thirty different species of rattlesnake in the world. Though they are found in both North America and South America, most species of rattlesnake are native to the southwest United States. Rattlesnakes are known for the “rattle” sound they make as they vibrate their tails. This is usually a warning to a predator to move away before they snake strikes. The rattlesnake’s lifecycle includes mating, live birth, youth, and adulthood. Mating most commonly occurs after the adult rattlesnakes have emerged from a state of hibernation. When the male rattlesnake has chosen a female for mating, he crawls on top of her and pushes his tail against the underside of the female’s tail. The female usually lies still during mating. Adult male rattlesnakes will often fight one another over a female rattlesnake. The female rattlesnake does not lay eggs like many other species of snake. Instead, she carries the eggs, which are fertilized by the male during mating, inside her body. After about three months, the eggs hatch inside the female’s body and she gives birth to the baby rattlesnakes. The female usually gives birth to approximately 9 or 10 babies. At birth, baby rattlesnakes are approximately 10 inches in length. They remain close to their mother for the first week or 10 days of their lives which is different from many other reptiles. Baby rattlesnakes have a low chance of survival due to predators, harsh weather conditions, and starvation. A baby rattlesnake’s rattler on the end of its tail is not fully developed yet and so, it cannot make the rattle sound that an adult rattlesnake can make. Often, young rattlesnakes die during their first winter. If they do survive, they shed their outer layer of skin each time they emerge from hibernating. 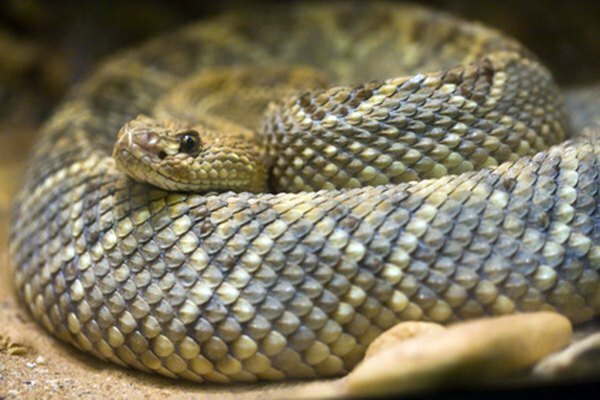 Rattlesnakes often shed their skin more than one time per year. When young rattlesnakes shed, they grow a new rattler section attached to their old one. Young rattlesnakes feed on small animals about one time a week. Adult rattlesnake size depends on the species, but most rattlesnakes grow to about 20 to 50 inches in length. 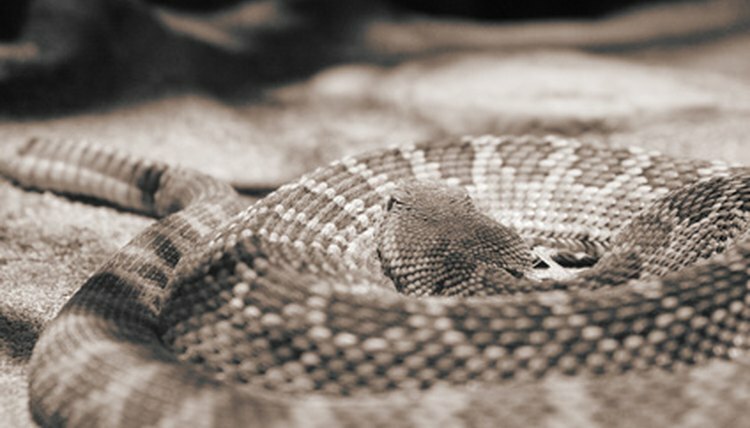 Rattlesnakes can live to be 30 years of age in captivity, but most die sooner than that in the wild. 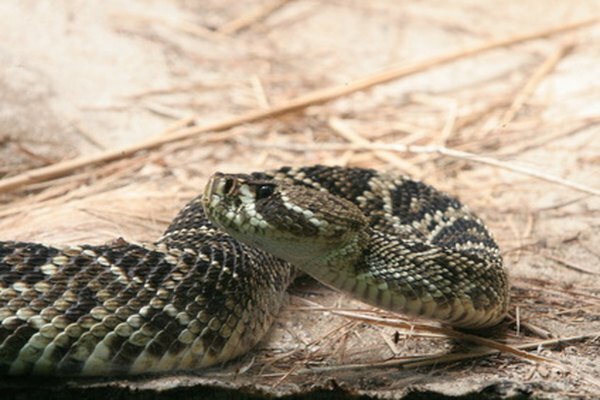 Adult rattlesnakes eat mice, rats, squirrels, lizards, and other small animals. They eat about once every fourteen days. The rattlesnake bites its prey, and the venom causes the prey to become immobile. The rattlesnake then swallows its prey without chewing it.